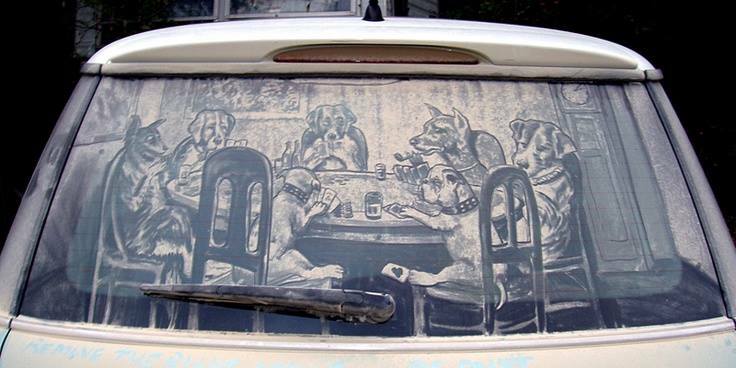 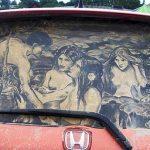 I did some searching and found out that they belong to Scott Wade’s Dirty Car Art. 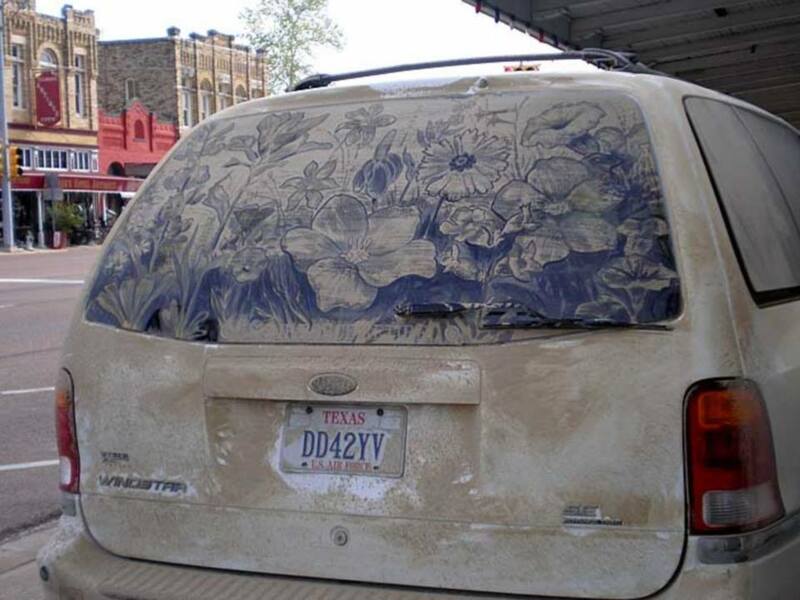 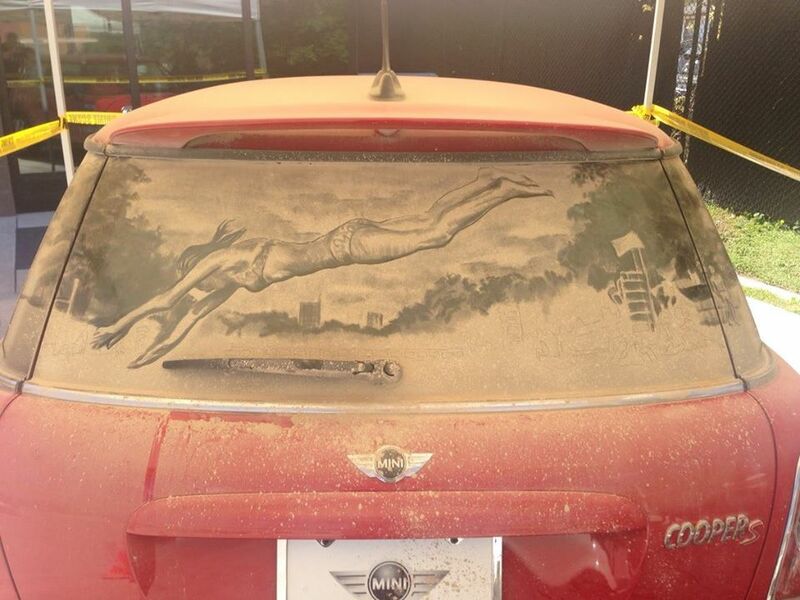 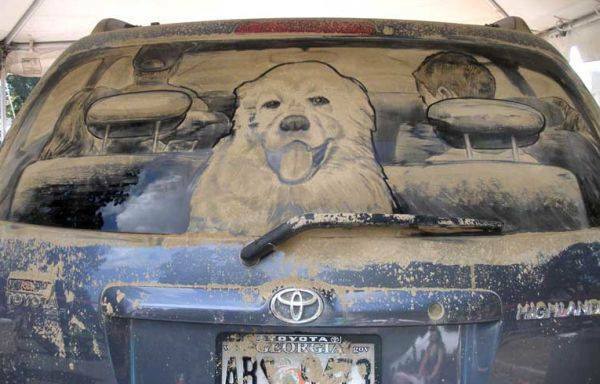 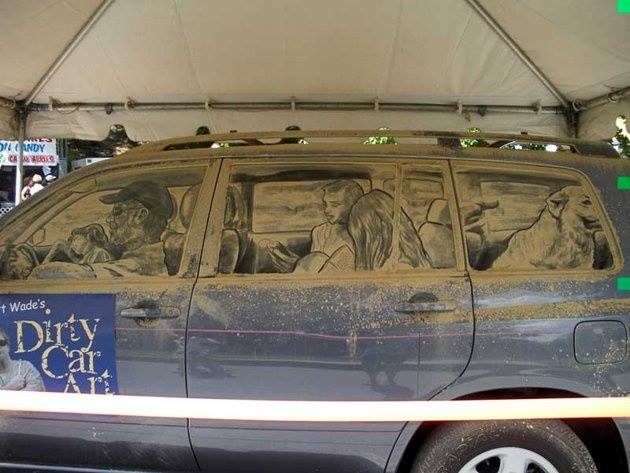 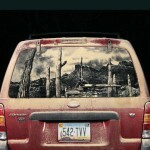 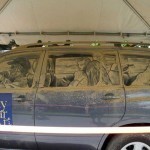 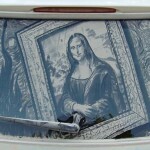 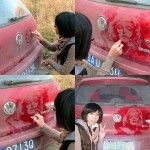 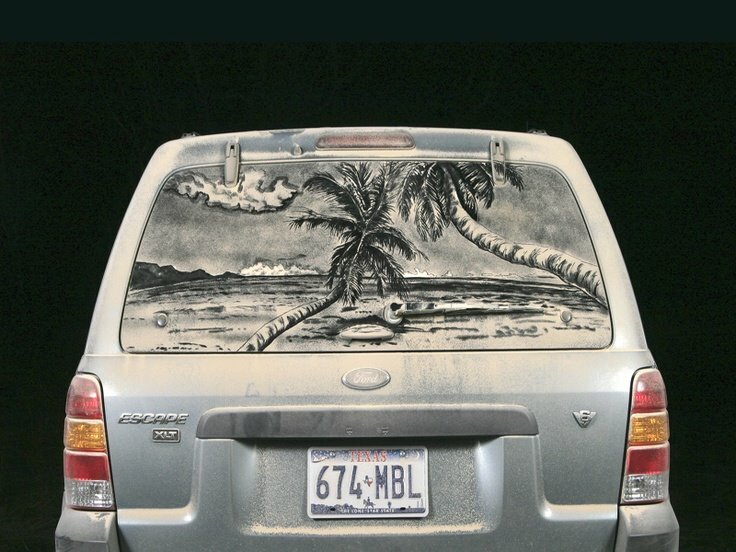 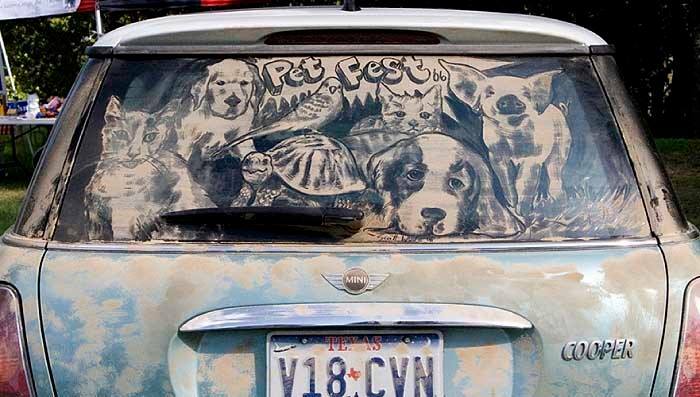 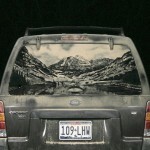 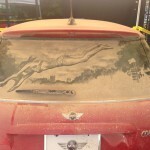 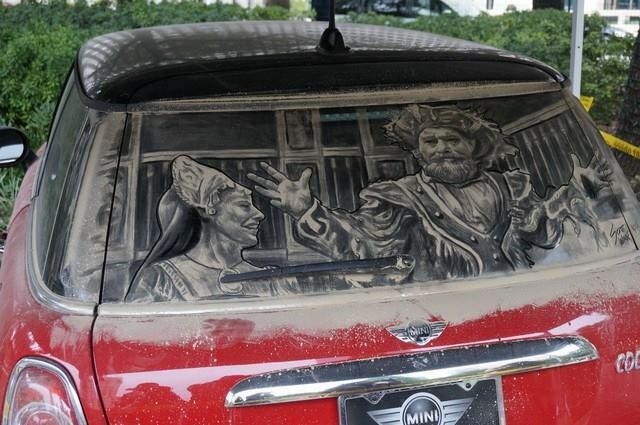 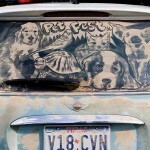 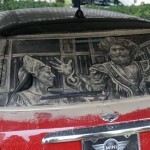 Dirty Car Art wasn’t an “aha” moment. 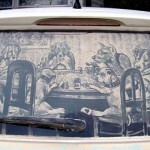 It evolved from living on a long, dirt road, where the family cars were always covered with a fine layer of dust. 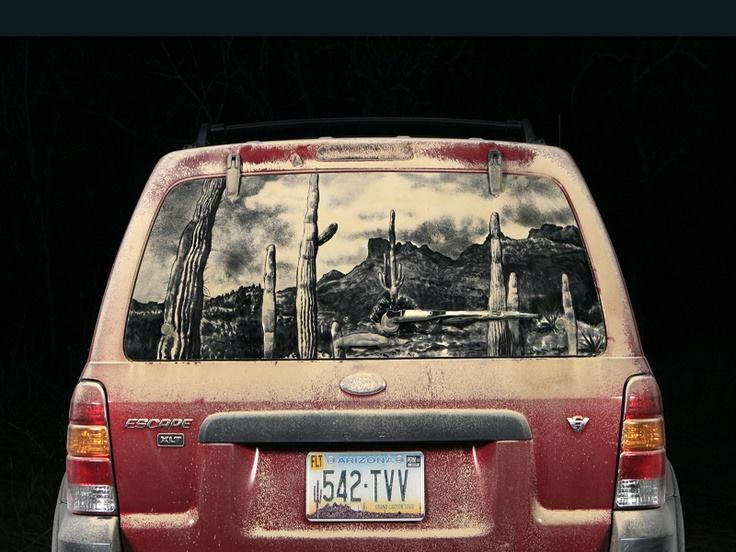 In this case, limestone and clay from the road base- or “caliche” as the locals call it -of Central Texas, where Scott lives. 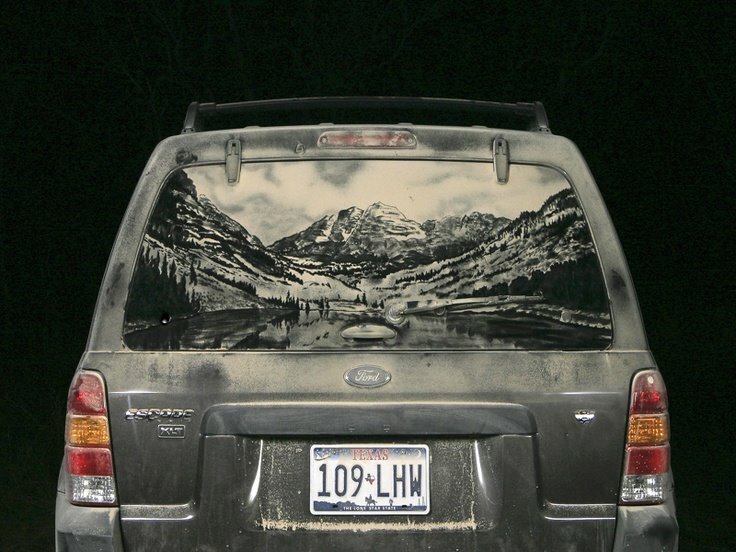 Having such a great canvas, Scott couldn’t resist drawing on the windows (particularly the rear window, which gets the most dust), much as you might write “wash me,” with a finger drawing a fat line. 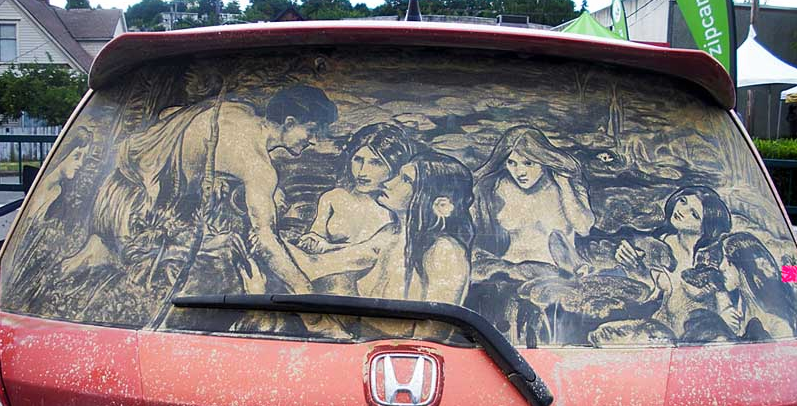 His early drawings were usually funny faces; his dad was an amateur cartoonist, and Scott developed his own style of cartooning. 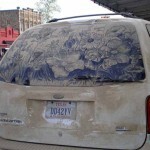 Eventually though, he became curious; could he expand the visual vocabulary from that fat line? He started experimenting with using a fingernail to get a finer line, the pads of his fingers brushed lightly to create some shading. 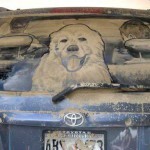 One day, having finished a popsicle, he took the chewed end of the stick out of his mouth and tried it as a brush. 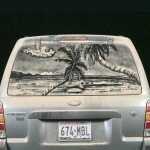 Soon he was trying all his brushes to see what effects they could achieve. 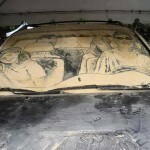 He started photographing and emailing the resulting drawings to his friends. 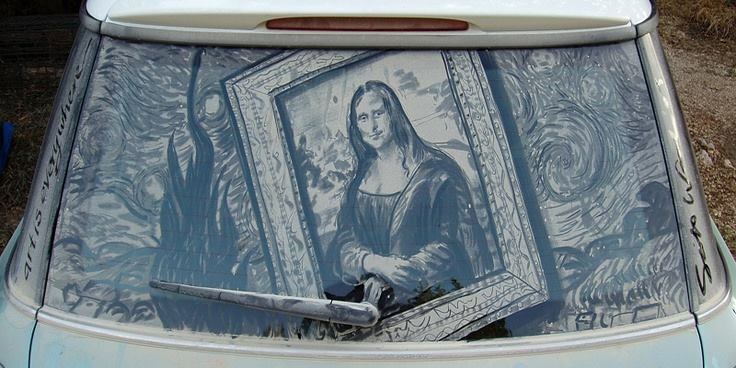 One of those emails was forwarded to a local columnist, which resulted in the media wanting to showcase his work, which turned into opportunities to create his special kind of art all over the world! 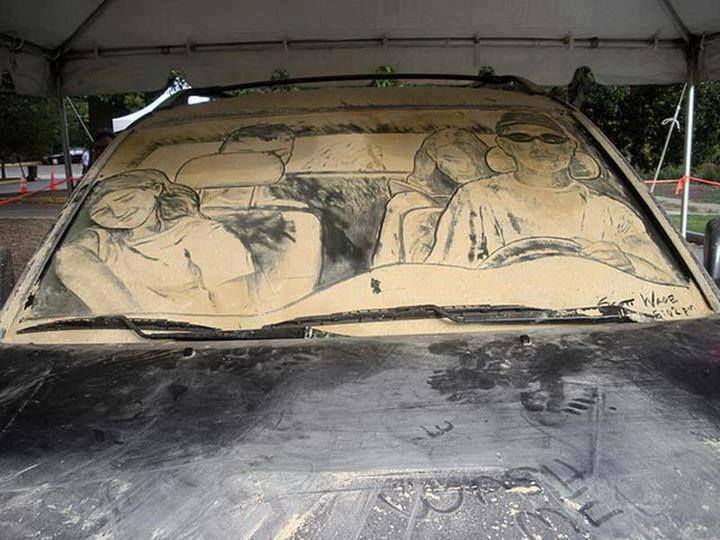 Really quite fascinating and incredibly talented.